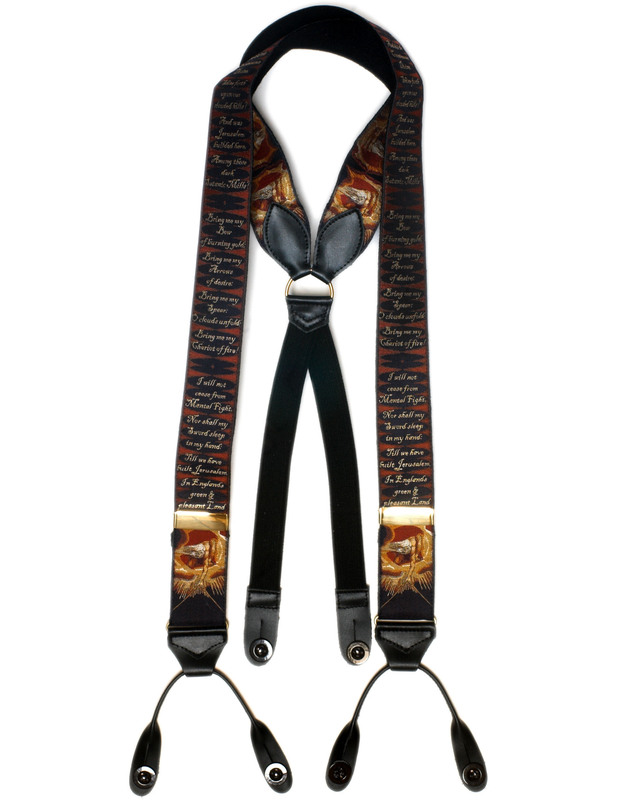 A design from the Albert Thurston range of Limited Edition silk braces with jacquard facings woven by Papilionaceous in Devon. It features the verses by William Blake written as a preface to his epic, ‘Milton, a Poem’, one of a collection of writings known as the ‘Prophetic Books’. These verses would later be set to music as the choral song ‘Jerusalem’ by Hubert Parry. The image, ‘The Ancient of Days’, is the title of a design by William Blake, originally published as the frontispiece to a 1794 work, ‘Europe a Prophecy’.